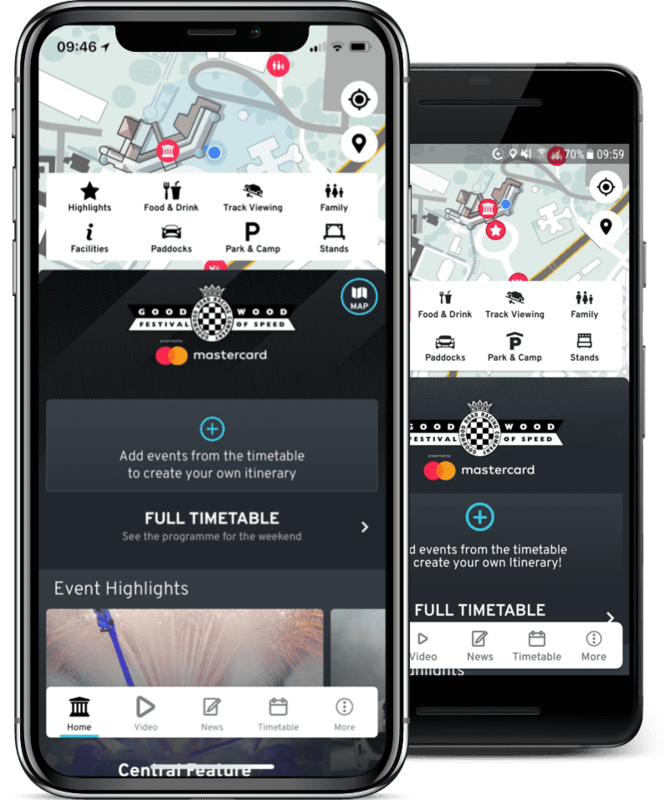 All you need to know about enhancing your Festival of Speed visit. We want your time at Goodwood to be as exciting and fulfilling as possible. With a little preparation you can plot how the day will play out. Don't forget to check the Explore the Event page, as we will share all the latest news about cars, drivers and other activities over the weekend. Click below for information about the Festival of Speed direct coach, private car, bus, train, or aircraft, including parking and navigation. A day of being an excitable spectator is a tiring business, so fuel yourself in a range of excellent eateries. Take the hassle out of getting home after an exhilarating day by staying nearby to the Goodwood Estate. The Festival of Speed is the world’s largest automotive garden party, which just also happens to be a fantastic place to bring families and for kids to enjoy. We are committed to ensuring all our visitors are able to enjoy their Festival of Speed experience. Read more for key information around accessibility.